A genetic mechanism that controls the production of a large spike-like protein (the Giant Staphylococcal Surface Protein [GSSP])on the surface of Staphylococcus aureus(staph) bacteria alters the ability of the bacteria to form clumps and to cause disease, according to a new University of Iowa (UI) study. The new study is the first to link this genetic mechanism to the production of the giant surface protein and to clumping behavior in bacteria. It is also the first time that clumping behavior has been associated with endocarditis, a serious infection of heart valves that kills 20,000 Americans each year. The findings were published in the December 2103 issue of the open-access journal PLOS Pathogens. Under normal conditions, staph bacteria interact with proteins in human blood to form aggregates, or clumps. This clumping behavior has been associated with pathogenesis -- the ability of bacteria to cause disease. However, the mechanisms that control clumping are not well understood. In the process of investigating how staph bacteria regulate cell-to-cell interactions, researchers at the UI Carver College of Medicine discovered a mutant strain of staph that does not clump at all in the presence of blood proteins. Further investigation revealed that the clumping defect is due to disruption of a genetic signaling mechanism used by bacteria to sense and respond to their environment. The study shows that when the mechanism is disrupted, the giant surface protein is overproduced -- giving the cells a spiny, or "porcupine-like" appearance -- and the bacteria lose their ability to form clumps. Despite the identification of gene mutations in methyl CpG binding protein 2 (MECP2) being linked to Rett syndrome (RS), research has been hindered by the lack of commercially available reference materials. Through collaboration between the Centers for Disease Control and Prevention (CDC) and members of the clinical-laboratory and non-profit–research communities, 35 DNA samples containing many common RS genetic variants have now been characterized and made publicly available, eliminating a major stumbling-block for investigators and opening the possibility of earlier, more accurate diagnosis of Rett syndrome, reports The Journal of Molecular Diagnostics. The study was conducted via the CDC Genetic Testing Reference Materials Coordination Program (GeT-RM), which aims to help the genetic testing community obtain appropriate and well-defined reference materials for inherited genetic disorders, including cancer and infectious diseases. Researchers selected eight cell lines from RS patients already available from the National Institute of General Medical Sciences' Coriell Cell Repository, which contained six of the most common mutations that cause RS, as well as one additional point mutation. In addition, DNA was obtained from 27 newly established cell lines derived from blood samples from Rett patients, which included a number of other MECP2 variants. Two of the samples were from males. The samples were sent for DNA sequence and deletion/duplication analyses (using MLPA, semi-quantitative PCR, or array) to College of American Pathologist–accredited clinical genetic testing laboratories, and each sample was tested in between two to five laboratories. The investigators found that the results were concordant among laboratories and assay platforms. From the Faroe Pony to the Spanish Mustang, fewer animals have played such a central role in human history as the horse. New research published online on January 21, 2014 in an open-access article in Animal Genetics reveals that a horse's gait, an attribute central to its importance to humans, is influenced by a genetic mutation, spread by humans across the world. The research team, led by Dr. Leif Andersson from the Swedish University of Agricultural Sciences, explored the distribution of a mutation in the DMRT3 gene which affects the gait of horses, known as the 'gait keeper’ mutation. "All over the world, horses have been used for everyday transportation, in military settings, cattle herding, and agricultural power, pulling carriages and carts, pleasure riding, or racing," said Dr. Andersson. "Over the centuries, horse populations and breeds have been shaped by humans based on the different purposes for which the animals were used." The DMRT3 gene is central to the utility of horses to humans, as it controls a range of gaits as well as pace. From racing to pleasure riding, many species have been bred to encourage smoothness of gait. 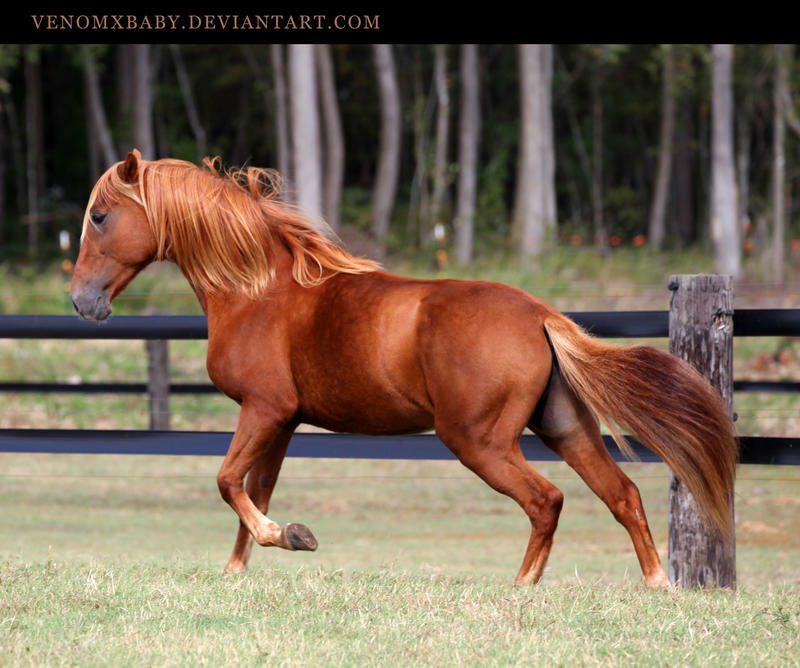 "For example, the Paso Fino (image) is a breed from Latin America in which the frequency of the 'gait keeper' mutation is nearly 100%. It is claimed that the Paso Fino is so smooth that you can have a glass of wine in your hand without letting it spill," said Dr. Andersson. The team analyzed 4,396 horses from 141 breeds around the world and found that the 'gait keeper' mutation is spread across Eurasia from Japan in the East, to the British Isles in West, on Iceland, in both South and North America, and also in breeds from South Africa. By discovering sulpho-glycolysis, researchers of the University of Konstanz have revealed an important degradation pathway. Similarly to the sugar glucose, its sulphurous analogue sulpho-glucose is produced by all photosynthetically active organisms. The annual production of sulpho-glucose in nature is estimated at approximately ten billion tons. Researchers of the Department of Biology of the University of Konstanz, in Germany, led by the microbiologists Dr. David Schleheck and Professor Dr. Alasdair Cook, and supported by colleagues from the Department of Chemistry, have now revealed how sulpho-glucose is degraded. 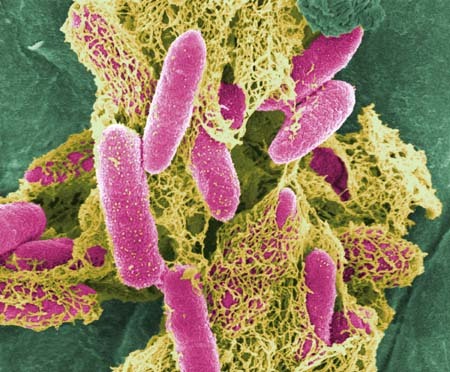 The scientists could identify one degradation pathway in the bacterium Escherichia coli (image), the most widely studied bacterial model organism: the sulpho-glycolytic pathway, encoded by ten genes, whose function had remained unknown thus far. The results have now been published in the online edition of Nature. Sulpho-glucose is present in all plants, mosses, ferns, and algae. The degradation pathway, or metabolic pathway, for sulpho-glucose, sulpho-glycolysis, is therefore an important component of the material cycles in ecosystems. As sulpho-glucose is not commercially available, Dr. Thomas Huhn of the neighboring Department of Chemistry synthesised this special form of sugar in sufficient amounts and purity for study. The analytical-chemical studies to give proof of intermediates were conducted via modern mass spectrometry by the doctoral student Alexander Schneider and the chemists Profesor Dr. Christoph Mayer, now at the University of Tübingen, and Professor Dr. Dieter Spiteller. "The excellent collaboration between biologists and chemists was an important aspect of our work. On Tuesday, February 4, 2014, The National Institutes of Health (NIH) announced the launch of the Accelerating Medicines Partnership (AMP), an innovative public-private collaboration developed with guidance from The Boston Consulting Group (BCG) over the last year and a half. AMP is the first systematic investment in understanding the biology of difficult-to-treat diseases that was designed from the start by industry, academic, and government partners working together. "Currently, we are investing too much money and time in avenues that don't pan out while patients and their families wait," said NIH director Francis S. Collins, M.D., Ph.D. (image). "All sectors of the biomedical enterprise agree that this challenge is beyond the scope of any one sector, and it's time to work together in new ways to increase our collective odds of success." AMP -- cofounded by the NIH, ten leading pharmaceutical companies, and a number of nonprofit organizations -- will invest $230 million over five years to support the large-scale characterization of the underlying pathology of Alzheimer's disease, type 2 diabetes, rheumatoid arthritis, and systemic lupus erythematosus. BCG was pleased to have supported AMP's initial conception, organization design, and detailed research plans for each of the diseases targeted. "Too many hoped-for drugs fail during R&D, and the reason for this is that we don't fundamentally understand the biology we're trying to modify," said Michael Ringel, J.D., Ph.D., a BCG partner and co-leader of the firm's team facilitating the partnership. In a study published online on January 31, 2014 in the open-access journal PLOS ONE, researchers from Children's Hospital of Pittsburgh of the UPMC and the University of Pittsburgh (Pitt) School of Medicine (UPMC) used a primitive worm model to show that a drug typically used to treat agitation in schizophrenia and dementia has potential as a treatment for alpha-1 antitrypsin (AT) deficiency, an inherited disease that causes severe liver scarring. In the classic form of AT deficiency, which affects 1 in 3,000 live births, a gene mutation leads to production of an abnormal protein, dubbed ATZ, that, unlike its normal counterpart, is prone to clumping, explained David H. Perlmutter, M.D., physician-in-chief and scientific director, Children's Hospital of Pittsburgh, and Distinguished Professor and Vira I. Heinz Endowed Chair, Department of Pediatrics, UPMC. "These protein aggregates accumulate in liver cells and eventually lead to scarring of the organ or to tumor formation," Dr. Perlmutter said. "If we could find a drug that slows or stops this process, we might be able to prevent the need for liver transplantation in these patients." To find that drug, Dr. Perlmutter's team worked with Pitt's Stephen Pak, Ph.D., assistant professor of pediatrics, and Gary Silverman, M.D., Ph.D., Twenty-Five Club Professor of Pediatrics, Cell Biology and Physiology, who developed a model of AT deficiency in Caenorhabditis elegans, or C. elegans, a harmless microscopic worm or nematode typically found in soil. Previous experiments conducted by Drs. 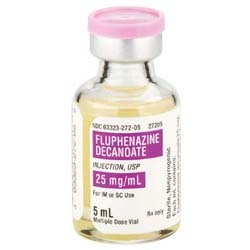 Pak and Silverman, in which more than 2,000 compounds were screened, showed that fluphenazine, a drug approved for human use as a mood stabilizer, could reduce ATZ accumulation in the worm, so the team studied it further. Astrocytomas are the most common malignant brain tumors. While most patients' tumors prove to be quite aggressive, outcomes overall can vary widely, with some patients surviving for many years. Now a new study has found that malignant astrocytoma patients whose tumors carry a specific genetic mutation benefit greatly from surgical removal of the largest possible amount of tumor. Preliminary results of the study were reported at the 2012 American Society of Clinical Oncology meeting, and the team's full report appears in the January 2014 issue of the journal Neuro-Oncology. A type of glioma, astrocytomas include the highly aggressive glioblastoma and the less aggressive, but still dangerous anaplastic astrocytoma. "We found that the benefit of surgery and how aggressively the surgery should be done depend, in large part, on whether or not patients' tumors have the mutated form of the IDH1 gene," says Daniel Cahill, M.D., Ph.D., of the Pappas Center for Neuro-Oncology in the Massachusetts General Hospital (MGH) Cancer Center, who led the study. "Under the prior system of categorization, these tumors were considered the same diagnosis and were treated the same way; but we have found that this mutation identifies a completely different subclass of glioma that probably should be treated differently." Now an assistant professor of Neurosurgery at Harvard Medical School, Dr. Cahill was at the University of Texas MD Anderson Cancer Center when the study was initiated, and all study participants were treated at MD Anderson. Ian McCutcheon, M.D., professor of Neurosurgery at the MD Anderson Cancer Center, who co-led the study with Dr. Researchers at Oregon State University (OSU) and Oregon Health & Science University have discovered a genetic function that helps one of the most important “tumor suppressor” genes (p53) to do its job and prevent cancer. Finding ways to maintain or increase the effectiveness of this gene function – attributable to a gene is called Grp1-associated scaffold protein, or Grasp – could offer an important new avenue for human cancer therapies, scientists said. The findings were published online on January 6, 2014 in Photochemical and Photobiological Sciences, a journal of the Royal Society of Chemistry. The Grasp gene was studied in the skin of mice in this research, but is actually expressed at the highest levels in the brain, heart, and lung, studies have shown. It appears to play a fundamental role in the operation of the p53 tumor suppressor gene, which is a focus of much modern cancer research. The p53 gene is involved in repair of DNA damage and, if the damage is too great, causing a mutated cell to die before it can cause further problems, up to and including cancer. Dysfunction of p53 genetic pathways have been linked to more than half of all known cancers - particularly skin, esophageal, colon, pancreatic, lung, ovarian, and head and neck cancers. “DNA mutations occur constantly in our bodies just by ordinary stresses, something as simple as exposure to sunlight for a few seconds,” said Dr. Mark Leid, professor of pharmacology and associate dean for research in the OSU College of Pharmacy, and one of the lead authors on this study. “Just as constantly, the p53 gene and other tumor suppressors are activated to repair that damage,” Dr. Leid said. “And in cases where the damage is too severe to be repaired, p53 will cause the apoptosis, or death of the mutated cell. It’s not only what’s inside the nuptial gift that a potential suitor brings to a female Paratrechalea ornata spider that counts. It’s the whole package, white silk wrappings and all, that can give one male spider the edge over another. So say Drs. Mariana Trillo, Valentina Melo-González, and María José Albo of the Instituto de Investigaciones Biológicas Clemente Estable in Uruguay, who carried out the first study to look at the role of silk wrappings during the courtship and mating of this South American semi-aquatic spider. The findings were published online on January 15, 2014 in Springer’s journal Naturwissenschaften – The Science of Nature. The Paratrechalea ornata spider is one of many animals, and especially invertebrates, that use nuptial gift-giving during courtship and mating. During mate searching, males of this species walk with vibrating forelegs and feeler-like pedipalps, while carrying prey wrapped in white silk in their mouth parts. To find out more about this ceremony, Dr. Trillo’s team collected spiders from the Santa Lucia River in Uruguay and ran a set of experiments in their laboratory in Montevideo. In one experiment, the mouth parts of some males were painted white, and others not. Females exposed to males with white mouth parts were more active, showed more physical contact and spent more time in front of them. They also accepted the matings earlier, and with more frequency than those exposed to males without paint. The researchers therefore believe that the white coloring of the silk itself holds the big appeal for female spiders. This highlights the importance of visual cues during courtship and mate choice in Paratrechalea ornata. Also, Dr. Trillo’s team does not believe that white is just a random choice for this spider. In many people with autism and other neurodevelopmental disorders, different parts of the brain don't talk to each other very well. Scientists have now identified, for the first time, a way in which this decreased functional connectivity can come about. In a study published online on February 2, 2014 in Nature Neuroscience, scientists at the European Molecular Biology Laboratory (EMBL) in Monterotondo, Italy, and collaborators at the Istituto Italiano di Tecnologia (IIT), in Rovereto, and La Sapienza University in Rome, demonstrate that it can be caused by cells called microglia failing to trim connections between neurons. "We show that a deficit in microglia during development can have widespread and long-lasting effects on brain wiring and behaviour," says Dr. Cornelius Gross, who led the study. "It leads to weak brain connectivity, decreased social behavior, and increased repetitive behavior, all hallmarks of autism." The findings indicate that, by trimming surplus connections in the developing brain, microglia allow the remaining links to grow stronger, like high-speed fibre-optic cables carrying strong signals between brain regions. But if these cells fail to do their job at that crucial stage of development, those brain regions are left with a weaker communication network, which in turn has lifelong effects on behaviour. Dr. Yang Zhan, a postdoctoral fellow in Gross' lab at EMBL, analysed the strength of connections between different areas of the brain in mice that were genetically engineered to have fewer microglia during development. Working with Dr. Alessandro Gozzi's lab at IIT and Dr.